NEW YORK The Internet is frequently painted as the antithesis of TV — interactive, targeted, measurable — but when it comes to video ads, it’s still taking its cues from the tube. But a growing number of advertisers are inching beyond the confines of standard pre-roll spots to use video in a variety of new ways that overcome the limitations of the format. Tactics include using display units to pipe in sight, sound and motion; tying video messages to highlighted keywords; and inserting video ads into the world of social media. More advertisers are even using the often-maligned banner space as a conduit for video content. Apple has been a leader in this category. Since last November, it has rolled out a series of banners that show video of the Mac and PC Guys on a banner on the screen’s right side, where they discuss the problems some users have with Microsoft’s new Vista operating system. Meanwhile, a banner at the top of the page has a sign that reads “Don’t Give Up On Vista.” When PC Guy tries to illuminate the sign, only the words “Give Up On Vista” light up at the top of the page. 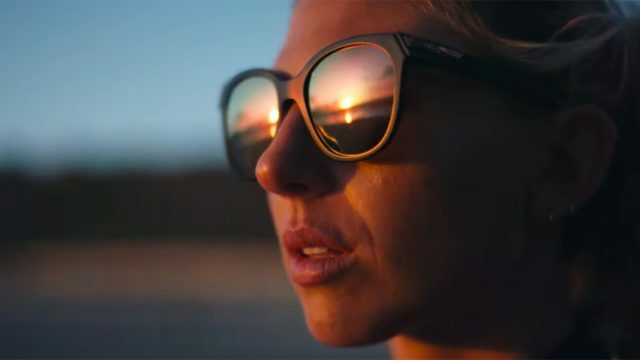 Apple continues to use the page’s real estate to distribute video content that takes advantage of online interactivity. Web video is seen as a critical way to move the Internet from its origins as a direct-response medium to a platform for advertisers who are more used to evocative creative palettes like magazines and TV. One video ad company shifting its emphasis from in-stream ads to creative uses of display space is VideoEgg. In 2006, VideoEgg rolled out in-stream “tickers” that invited users to click to view video. The overlay ads gained favorable response rates — they were subsequently adopted by YouTube — but the company found the model economically challenging because in-stream ads mean supporting the infrastructure and creative costs of video content. As a result, VideoEgg now focuses on video-enabled banners. For engagement, in-stream placements worked out to three times the cost for half the engagement, according to Troy Young, CMO at VideoEgg. “We’ve seen superior economics off page-based inventory,” he said. Those economics are causing publishers to look for new ways to deliver video ads, even if their content is limited to text. Vibrant Media has built up a network of 3,500 publishers to turn hyperlinks on text words into video spots when users run their cursor over them. It has run campaigns for brands such as Microsoft, Ford and Unilever. Still, online video ad spending is dominated by repurposed TV spots appearing before professional video content. According to eMarketer, U.S. online video ad spending this year will hit $505 million, a 55 percent increase from last year, but just 2 percent of the overall Web ad spend. The research firm expects rapid growth to $5.8 billion in 2013, in large part through new models emerging to complement in-stream placements.